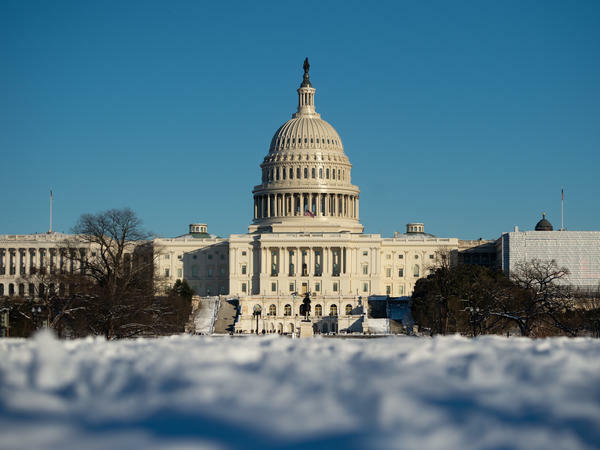 The US Capitol in Washington, DC, January 14, 2019, is seen following a snowstorm. African-Americans make up a higher percentage of federal workers than they do of the non-government workforce. That's in part because, for generations, government work has provided good wages and job security to African-Americans who faced more overt discrimination in the private sector. Ari Shapiro of NPR's All Things Considered sat down with Lartey to talk about some of the ways this disparity is playing out right now. Jamiles Lartey: The federal government obviously has its own untoward history of racial discrimination, from underwriting redlining, and federal mortgage programming, and excluding blacks from New Deal programming. But it has also been at the institutional vanguard of the nation's slow march towards equality — more so than the private sector at large, and more than most state and local governments. In 1941, President Franklin D. Roosevelt signed executive order 8802, which banned race discrimination in the defense industry. And that's largely seen as the most important move in support of the civil rights of black Americans from Reconstruction all the way until 1964, when the civil rights act was passed. The federal government, for fairly obvious reasons, just did a better job of abiding by the civil rights act than the labor market at large. We know that black families have a fraction of the wealth of white families. According to the Census Bureau, for every $100 in white family wealth, black families have just over $5. So what does that mean when black government workers start missing a paycheck? The profound racial wealth gap in the U.S. makes it far more difficult for the average black American to sustain a long period without a paycheck, as compared with white Americans. We should note that that disparity in wealth is probably much less acute among federal workers. We don't have numbers of black federal workers' wealth versus white federal workers' wealth. It's probably much closer than the broader disparity. But overall, black Americans are less likely to have friends, family, networks, access to credit, you name it. Things that will help you survive a period without a paycheck, they're less likely to have it. Tell us about one of the workers you spoke with for this story? I think the most interesting person who I spoke to from my story was an employee from the National Park Service named Laura. I had spoken to her last year, during that government shutdown, and she had asked to be made anonymous in that story. She didn't want to rock the boat, she didn't want to risk retribution. After going through this government shutdown, she was adamant. She was like, "I want my name out there." She was frustrated, and on the verge of tears when we spoke. She was trying to collect some medication, worried about how she was going to pay for it, worried about her employees, worried about the contractors who work under her. What sorts of things is she going through? She described it as barely treading water. She said her mom called her and said, "There's a bed here if you need to come." And she's like, "I'm fifty years old, I'm not about to go live with my mother." As tough as this is for government employees, they can at least expect to get backpay. Government contract workers may not. And you say that will also disproportionately affect black business owners. How so? Actually much more so, and that's the next thing we ought to look at. Unlike federal employees, there's no precedent for government contractors to receive back pay when the shutdown ends, so that income is just gone. Black-owned firms comprise just 2 percent of all small businesses in the country but they make up 11.7 percent of registered federal contractors. That's almost the proportion that black Americans make up in the population. Another way to put that would be, black employees are overrepresented by about 150 percent in federal employees, but black firms are overrepresented by 550 percent in federal government contracting. I say that with the caveat that we don't know exactly how that trickles down to folks wages. But by and large, black-owned firms are going to be hit much harder by the shutdown. Tell me about the gender divide here. Women make up 60 percent of the federal workforce — higher than the percentage they make up of the general population. What's the significance of that gender divide on African-American families? African Americans are about 10.5 percent of the civilian labor force, but 18.4% of federal employees. According to data from the office of Personnel Management, the share of federal workers who are black women is roughly twice as high in the federal government as it is in the greater civilian workforce. This won't be new to anyone who studies race in America or is cognizant of how it works, but it's going to disproportionately affect black women. 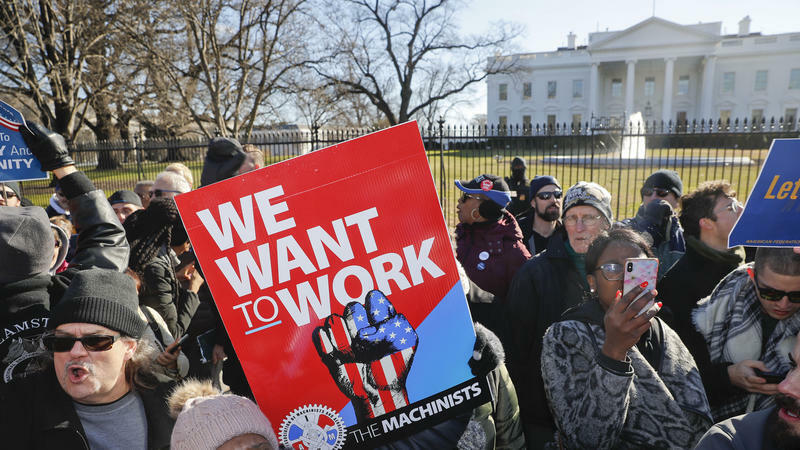 Do you get a sense that this prolonged, shutdown — the second shutdown in two years — is going to affect the way black workers think about government jobs more broadly? It would have to, right? The effect of repeated shutdowns is going to be cumulative. One shutdown four or five years ago is one thing. To have another one last year and another one this year, and to see less light at the end of the tunnel in this one than in previous shutdowns — it's affecting folk's financial stability, it's affecting their morale, and it's disproportionately affecting black workers. One of the folks who I talked to is a federal worker who described growing up in Prince George's county, which is one of the largest communities of middle class and upper-middle-class black people in America. That's largely because of access to so-called "good jobs" in the federal government. Growing up, he said he was told, "Get a good job in the government." His mom worked for the government. His dad worked for the government. But if this continues to happen, and shutdowns continue to be used in political ways over fights in Congress, a whole generation of people is going to have to reevaluate whether that's still the case. Hundreds of airport safety workers in Wisconsin have gone without pay during the federal government shutdown. A small group of them picketed outside General Mitchell Airport in Milwaukee Saturday. 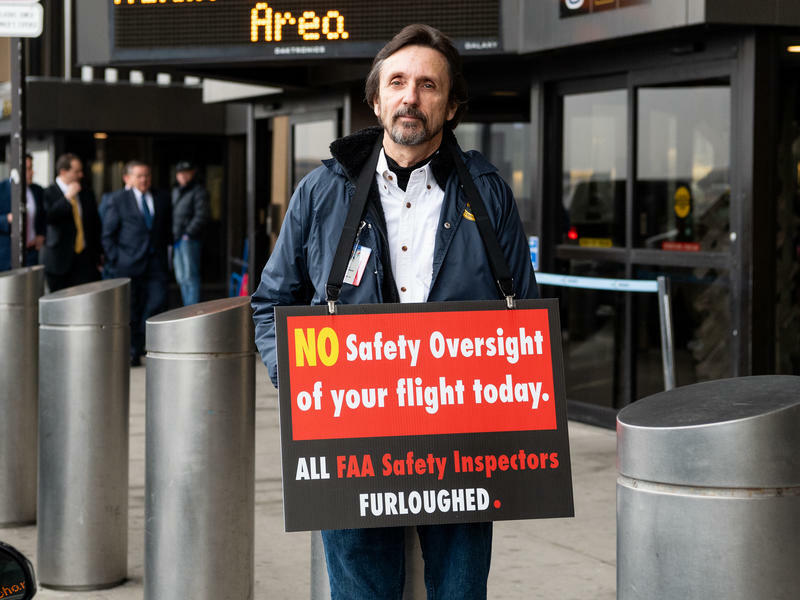 The members of the aviation safety specialists union kept the informational picket small because they wanted to be inside the airport, where they could hand out information to travelers. But they say management told them they had to go outside, to a remote corner with almost no foot traffic, for safety reasons. 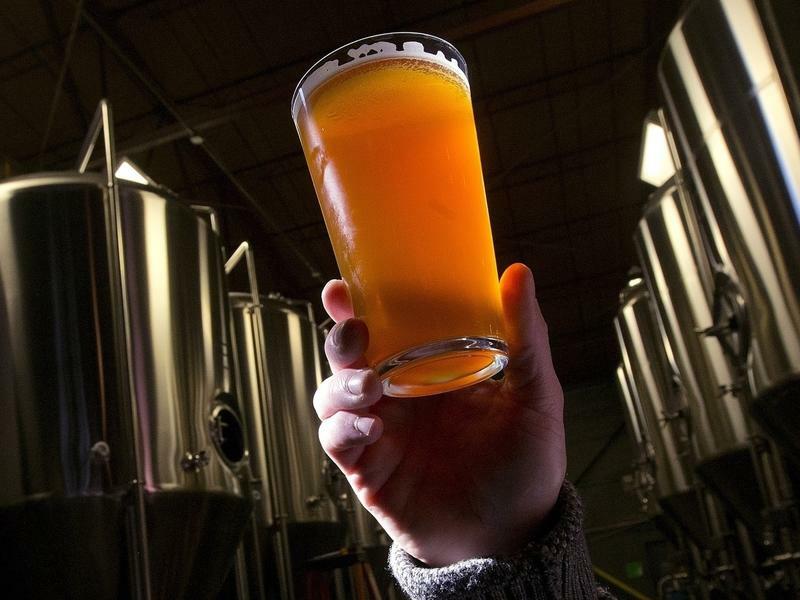 Craft beer drinkers in the U.S. may see fewer new bottled beers coming out in the next few months. That's because the federal agency that approves brewery labels is closed, a result of the government shutdown. The Alcohol and Tobacco Tax and Trade Bureau is part of the U.S. Department of the Treasury. One of the TTB's jobs is to review beverage alcohol labels for things like alcohol content or fluid ounces in a bottle.